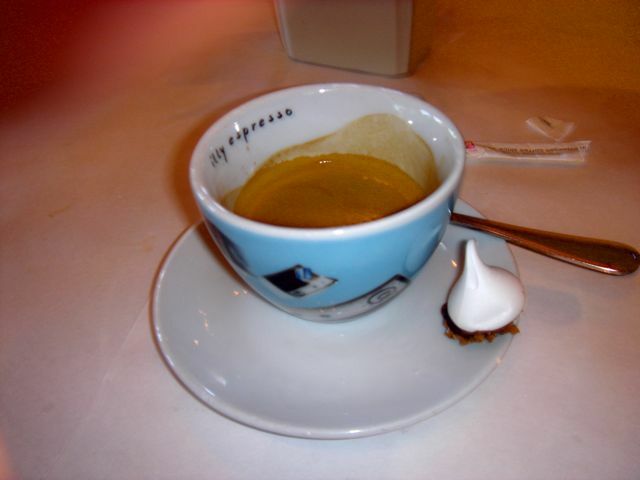 Bistro Don Giovanni is a casual restaurant with good, simple Italian fare. It can get very crowded and service can go downhill so we always show up for an early lunch around 11:45. The key to Don Giovanni is to keep it simple. The wood-fired pizzas are good and the best one is something not on the menu called pizza Bismark with a fried egg in the middle. We weren’t in the mood for pizza so went with pasta instead. All menu items were ordered as splits – one for two served family style. Fritto Misto – calamari, rock shrimp, smelt, fennel, onions, green beans, spicy aioli – I wish there had been more smelts (only 2), but it was a decent version of fritto misto. The spicy aioli was excellent. A nice early afternoon meal in the valley. Just don’t expect haute cuisine and I don’t think you will be disappointed. 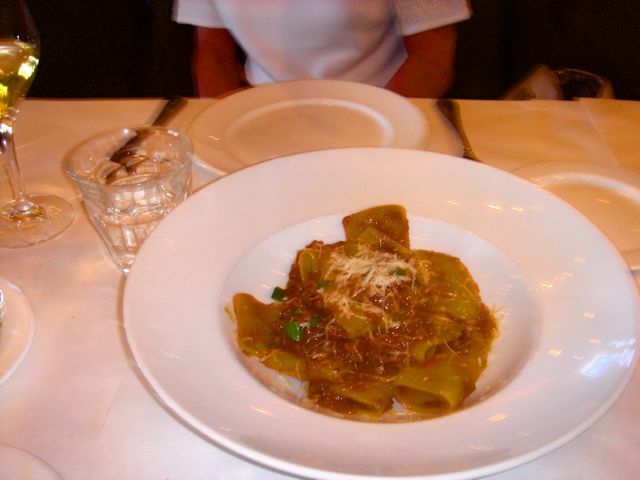 Bistro don Giovanni is another favorite of ours for lunch. It is comfort food, casual dining and just tasty. I find that when I am doing heavy hitter dining at the FL, I need this type of contrast. The room is very large and although, many people prefer the patio, my husband has a thing about bugs – not that I have seen any. 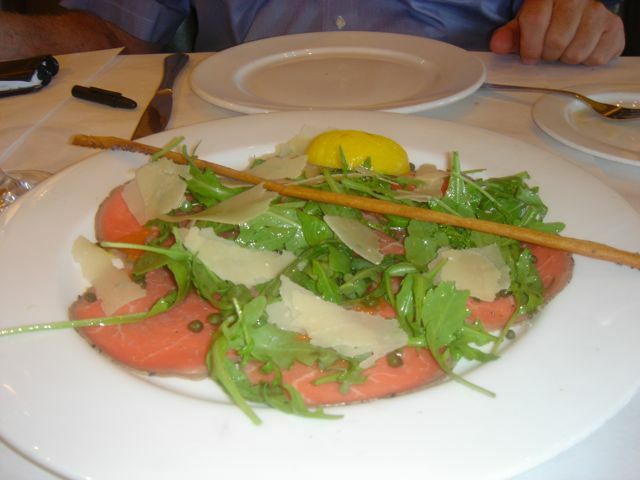 We started with one of our favorite dishes the carpaccio – thinly sliced filet of beef, arugula, capers, parmesan and a bistro breadstick laid across the top. 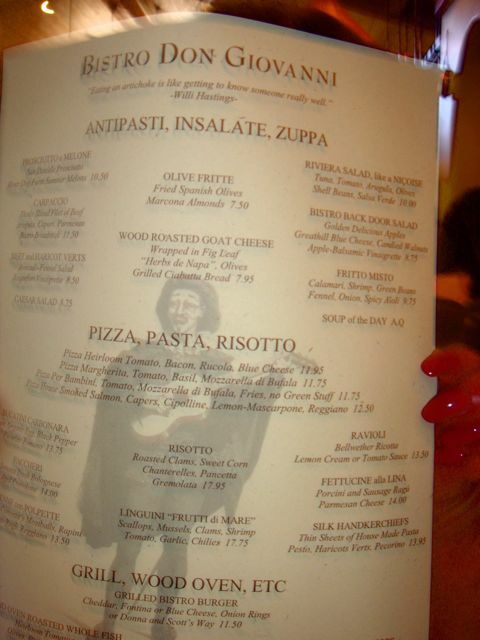 We didn’t like any of the pizzas listed and asked if they could make one of our favorites – no problem. It was not exactly as we remembered it, but delicious. 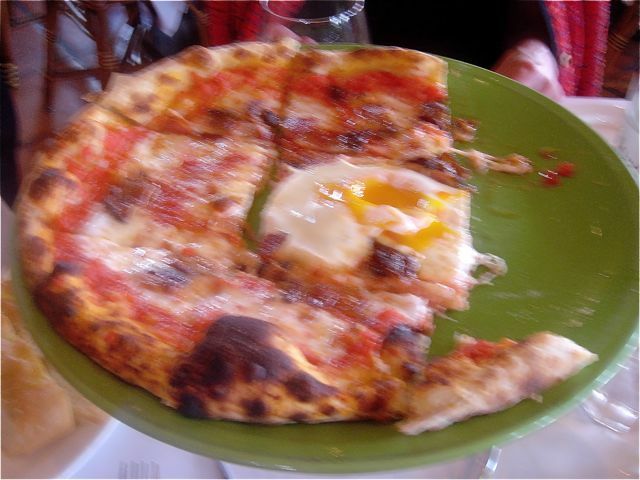 In the center of the pizza was an over-easy egg – the yolk deep orange and runny with a firm white. Remembering the suggestion from a previous visit, we ate the pizza up to the crust and then dipped the crust into the runny yolk. The pancetta added a smoky bacon taste and the truffled pecorina was not at all overwhelming.. For my husband a major bacon and egg freak, he was in heaven. Pasta with Sonoma Duck Bolognese – Don Giovanni excels at this bolognese sauce and it was spicy without being too assertive. The pasta was al dente and again the dish gets high marks for deliciousness. Service is efficient and although this is not fine dining, it is a nice respite from other experiences.